Last Monday was the Labor Day holiday here in the U.S. and in honor of an extra day off I decided to make a special breakfast. 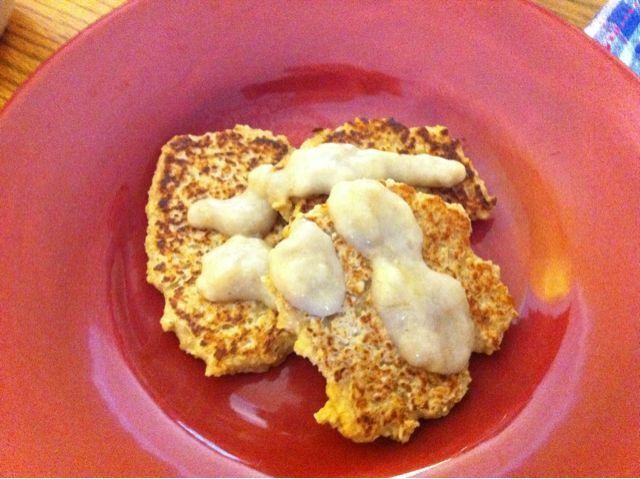 I have been wanting to make oatmeal pancakes for awhile so I searched for a recipe and finally landed on Oatmeal-Apple Pancakes from Whole Foods. I like this recipe because it only has 5 ingredients and one of them is applesauce. I had a jar of applesauce that needed to be used! I made a double batch of these pancakes because 5 silver dollar sized pancakes did not sound like enough for Benzo and me. We have big appetites. I also used Bob’s Red Mill egg replacer instead of eggs and maple syrup rather than agave. I think the flax egg would work well in this case too. Here is my process in action. All the ingredients in the food processor. 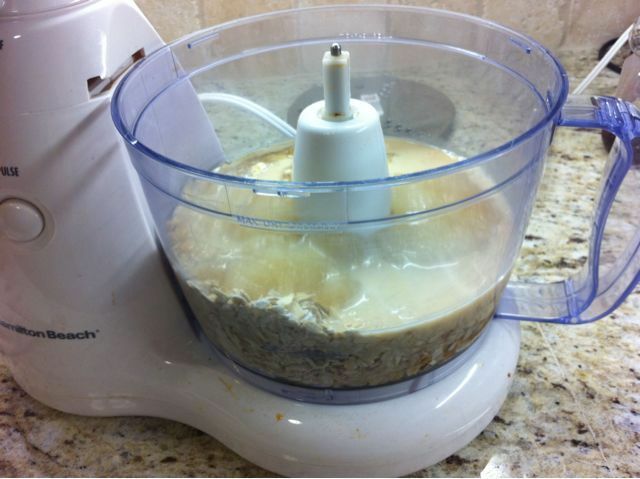 Normally I dislike using the food processor simply because I don’t like to wash it. But I made an exception in this case. Yep I fried the pancakes in butter. Well Earth Balance. Mmmmm. 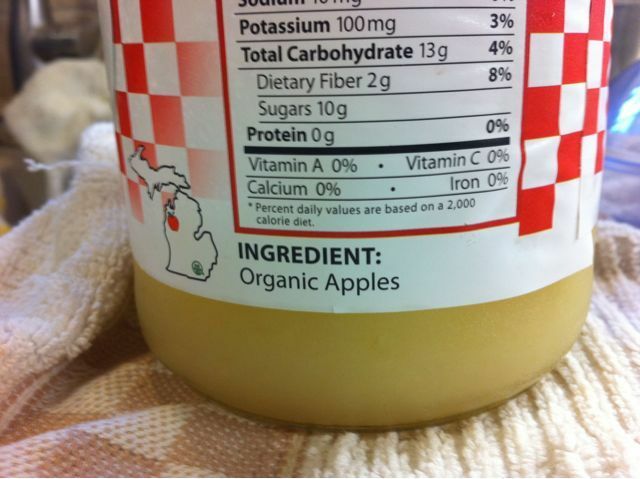 Oh and when buying applesauce be sure to look at the ingredients. The only thing listed should be APPLES! I hadn’t used it in awhile so I was excited to get it back out of the pantry. 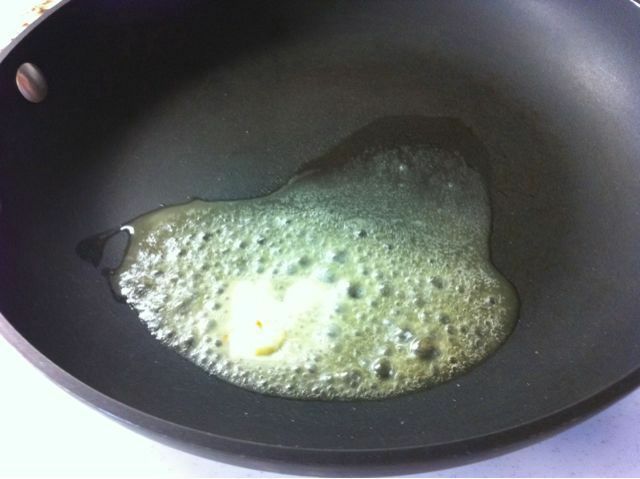 This sauce is really, really easy to make and as you’ll see below, it’s delicious! Here is the stack of finished pancakes. This was a double batch. They don’t look quite as pretty as the ones on the Whole Foods website. The sauce is off to the right in the pint jar. Here’s my plate all done up with the sauce. The verdict? The pancakes were good, but it was the sauce that really made them taste amazing. The pancakes were thick and dense, almost like cookies. Not light and fluffy like regular pancakes. But I liked them and they kept me really full all morning. 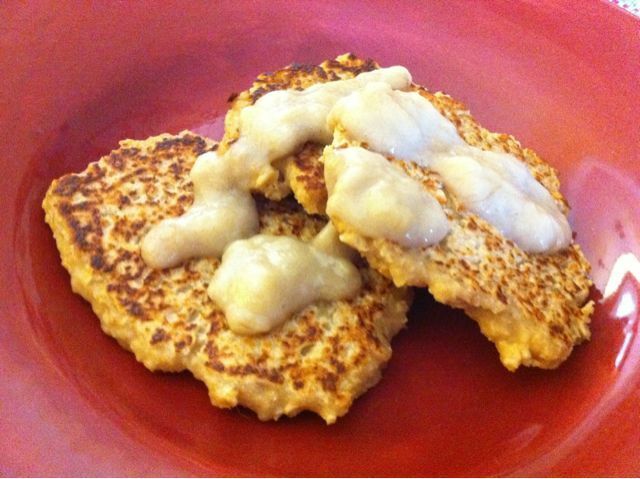 I think you could make a bunch and freeze them to have as a quick weekday breakfast. 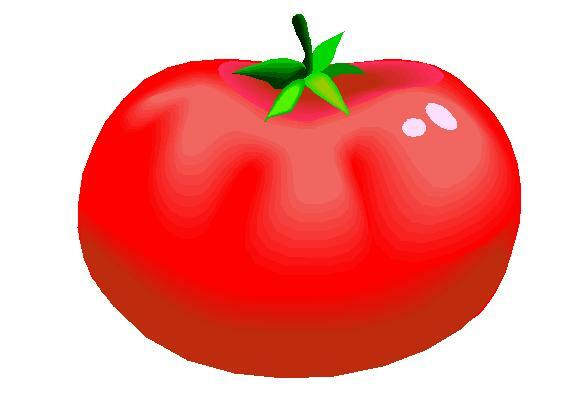 But the sauce was….WOW. Really delicious. 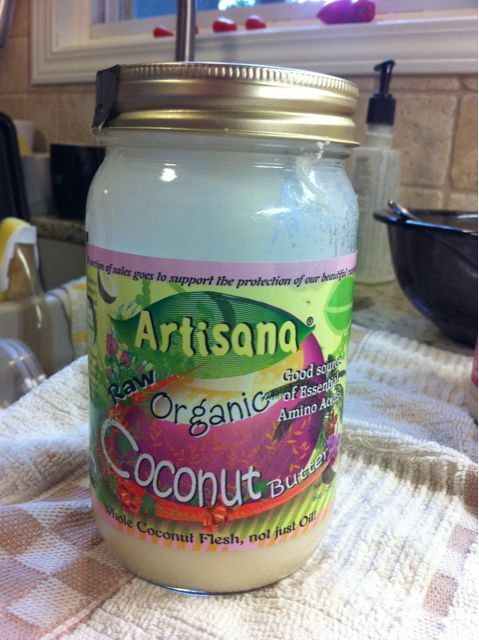 I would like to make a tub of this stuff and take a bath in it. Okay not really but I think I would like to try it on some other things besides pancakes. It tasted fancy so if I was hosting a brunch I would make this to serve to my guests. I think I’ll try another oatmeal pancake recipe next time. Does anyone have any good ones? 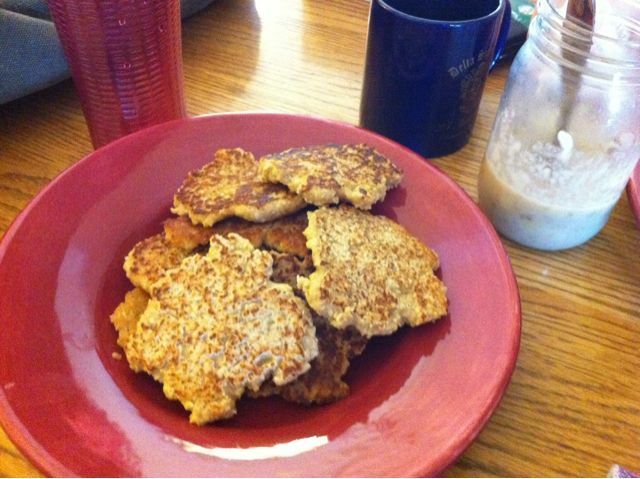 It seems like at oatmeal pancake recipes involve the oats being whirred up in the food processor. I’d kind of like to keep the oats intact because I like the texture. Maybe I’ll just have to make up my own recipe! Looks good. I’m going to try these for an on-the-go breakfast. There’s quite a bit of protein in them also. Making for my grandson too.